Two of the most prominent concerns today are renewable resources and clean water. The most promising route for alternative energy along with water filtration is algae. There is so much potential in these tiny organisms that must be understood and utilized to their full potential in order to solve some major problems with the environment. Microalgae are a part of a group of many organisms referred to as algae. Algae are photosynthetic organisms that can range from the size of one cell, to chains that group together to make a massive single organism. Cyanophyceae, or blue-green algae, Chlorophyceae (green algae), Bacillariophyceae (including diatoms) and Chrysophyceae (including golden algae), are the types of microalgae most commonly used for wastewater treatment, biofuel, and CO2 fixation. CO2 fixation is the process where CO2 emissions in the atmosphere are converted into organic carbon compounds. 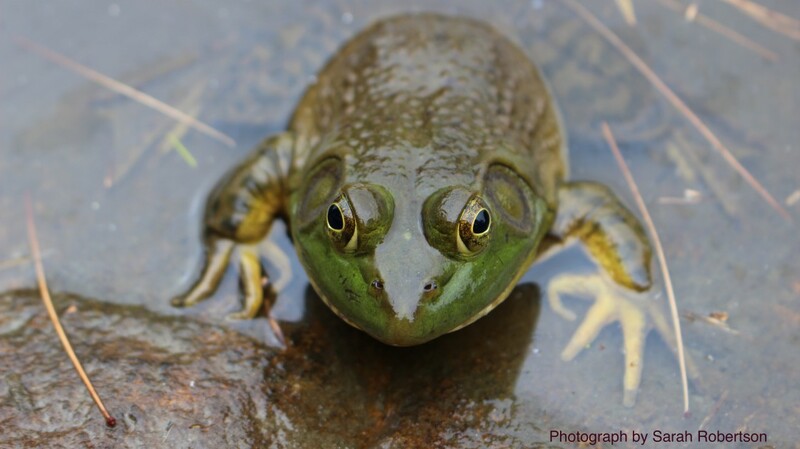 Algae have the potential to kill three birds with one stone. With carbon emissions skyrocketing, there is a desperate need for carbon fixation. There is also a desperate need for a new, sustainable source of crude oil. The use of Microalgae is more efficient then other methods, takes up less space, has no risk of leakage and also provides the crude materials to make biofuel. 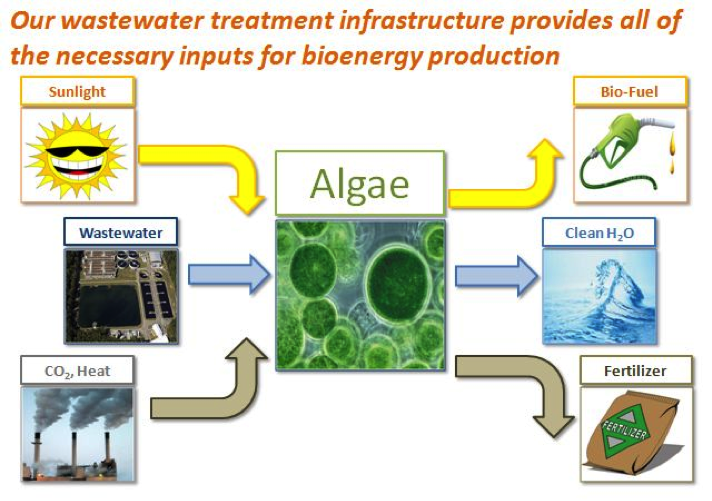 An additional benefit can be added if the algae are grown in wastewater. Algae grow using nutrients, which are drawn from the water. These nutrients are actually waste products such as nitrogen and phosphorous. They absorb the nutrients and then use sunlight and CO2 to grow through photosynthesis. When they grow, they create lipids that can be used as biofuel. The actual algae mass left over after extraction can be used as fertilizer. Figure 1 is a visual that shows the inputs and outputs of Algae growth. It shows that the algae only need waste to grow and release beneficial outputs. This is why algae have great ecological impacts if used correctly. Just by growing and living in a certain ecosystem, the algae can clean the environment it is in and clean the air that we breathe. I agree with Jack. I think that it is incredible that such a small organism can have such great impacts on the world. Algae uses waste found in water and in the atmosphere along with sunlight to convert it into bio-feul. Also in the process of creating bio-feul, the algae is cleaning up the water and riding it of waste, such as the nitrogen and phosphorous, found in the water. Additionally, algae uses various waste products and the photosynthesis to create fertilizer. Algae is a perfect example of an alternative source of energy that is more environmentally sustainable. It can only benefit the earth because it is able to rid the water and environment of pollutants and then those pollutants are used to create renewable resources. Algae can be extremely helpful in third world countries with a lack of clean water because it purifies the water. It would be really interesting to see how algae would impact peoples lives in developing countries. I think that it would better their lives and higher their living standards, but maybe there is actual research that can prove this. It would be interesting to also see how different countries are affected by algae. I know that it has a positive global impact, but are some countries benefiting from it more than others?